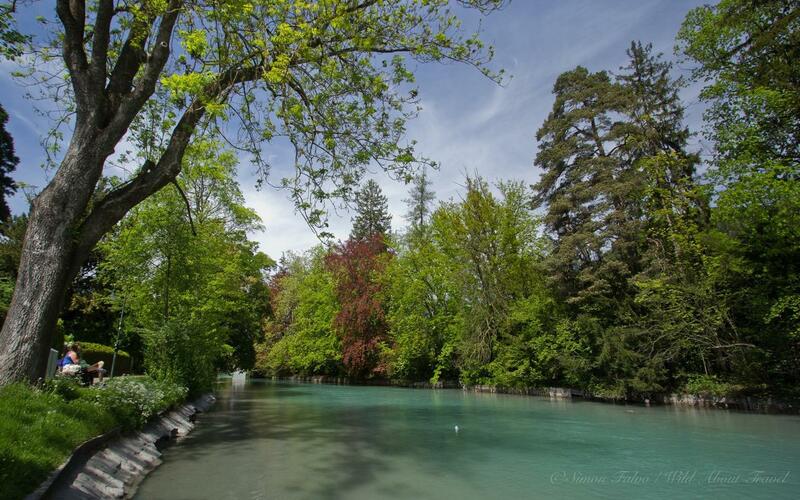 15 May Green River, Turquoise Lake and a Castle: Welcome to Thun! 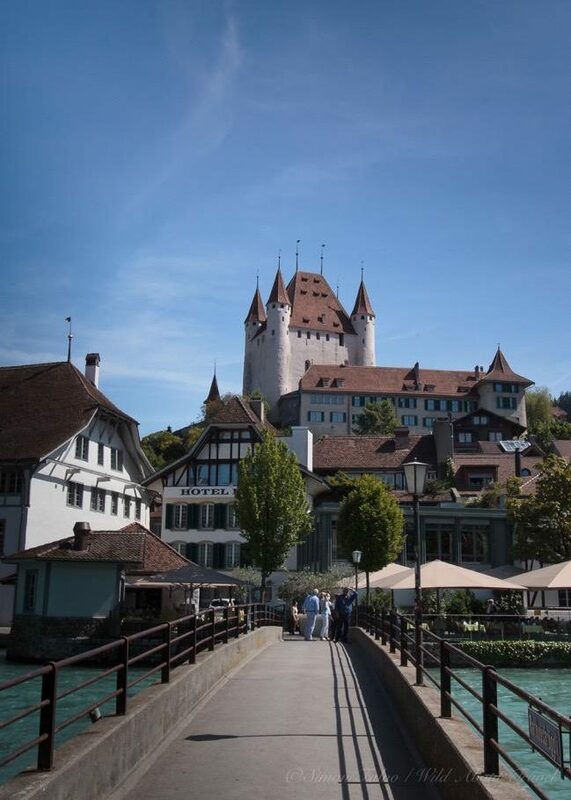 Whenever you get a river with crystal clear water, a turquoise lake, and a medieval castle you know that you’re likely to find yourself in a pretty place, and Thun stands up to its fame as a must-visit town in Switzerland. 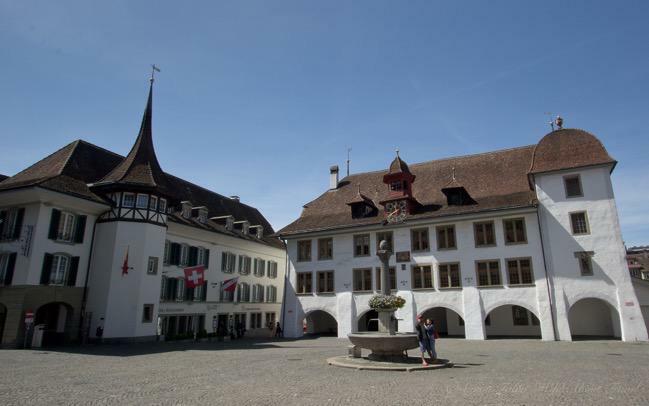 The city revolves around the medieval castle, the river Aare and Lake Thun, on whose opposite side stands Interlaken, a very popular tourist destination and the gateway to the Jungfraujoch. 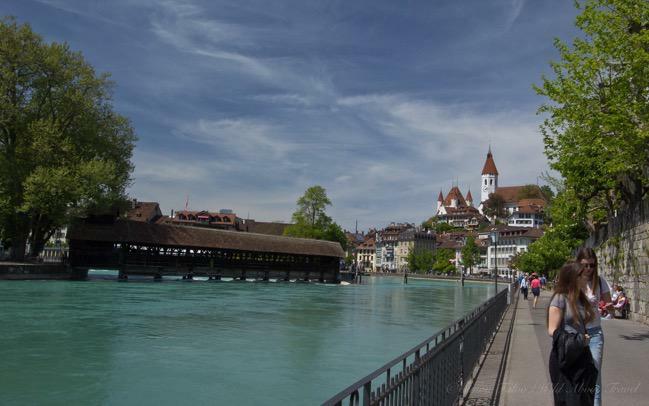 I could feel Thun’s charm already a few steps from the train station, as I reached the river flanked by pretty colorful houses and lined with many al fresco cafés and restaurants. No better way to start a sunny and warm day than sitting on a terrace, sipping a coffee listening to the sound of the flowing water and looking at the ducks swimming and playing back and forth. The riverfront is neat and charming, with the wiping willows decorating the river shore and the spring flowers with their bright colors. 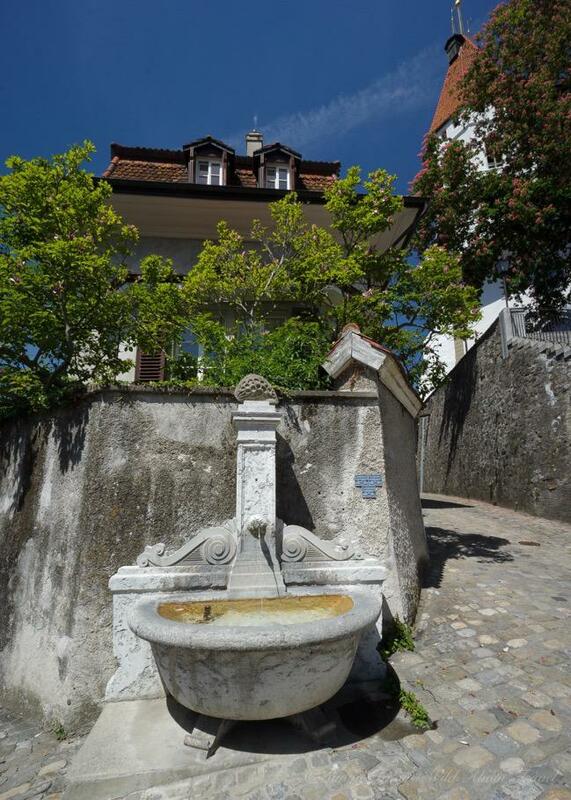 The historical center is small and charming, and the stroll along the narrow cobblestone streets very pleasant. 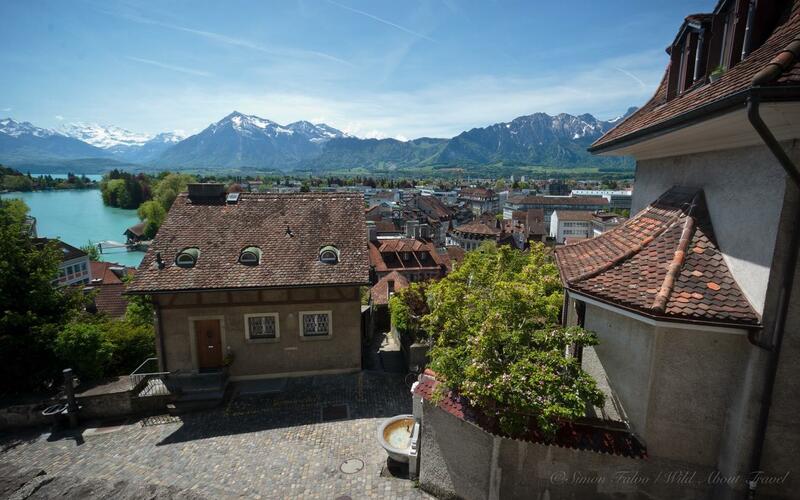 It takes only a few minutes to go up to the castle towering the old city and overlooking the lake and the surrounding mountains. 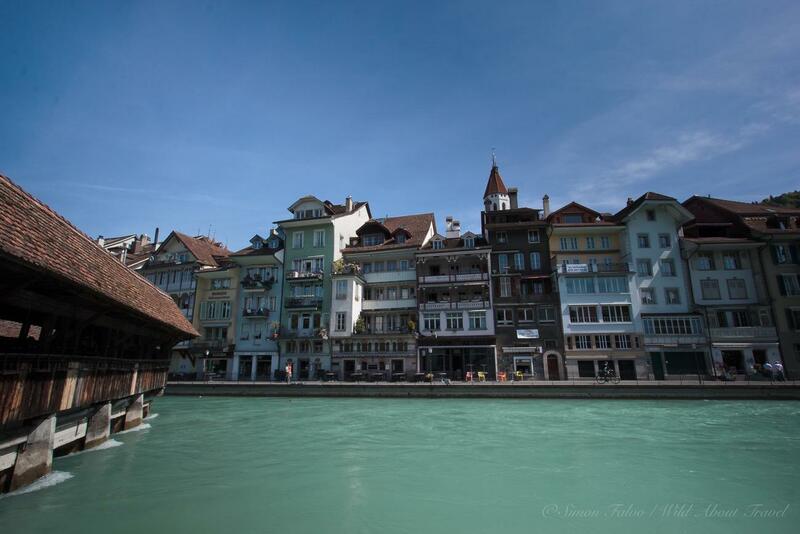 Down to the river Aare, the riverside is incredibly lively. It’s a warm and sunny Sunday, and everyone is out to enjoy a spring day that looks more like summer. People strolling leisurely, kids and teenagers biking, mothers taking their toddlers out in their strollers. 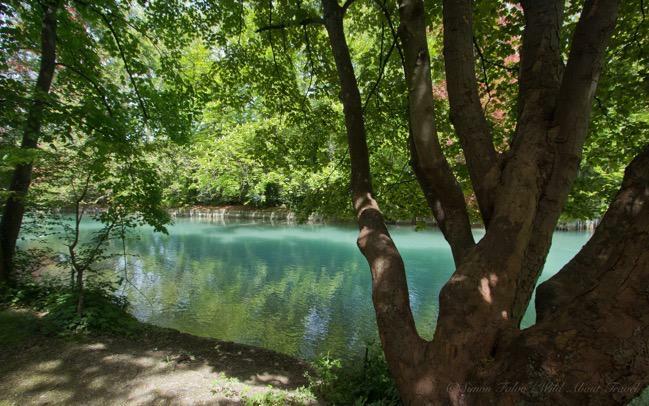 The path along the river, surrounded by trees, is pure pleasure. 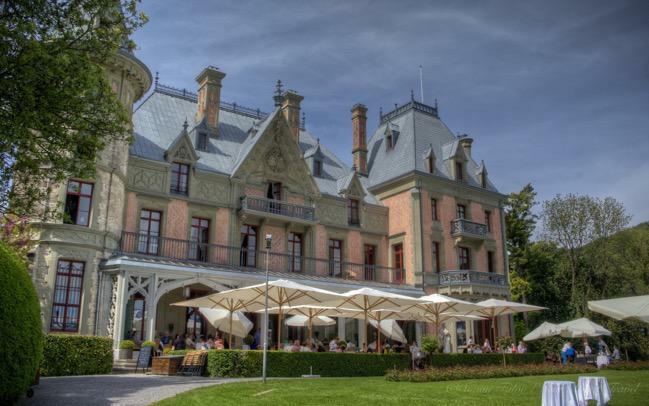 A popular spot in Thun is the 19th Century Schadau Castle and the surrounding park, with superb views of Lake Thun and the alps. 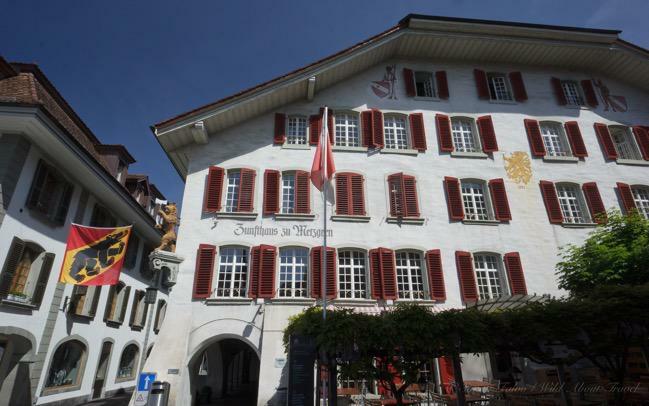 Hosting a fine restaurant and the Museum of Swiss Gastronomy (a bit weird, don’t you think? 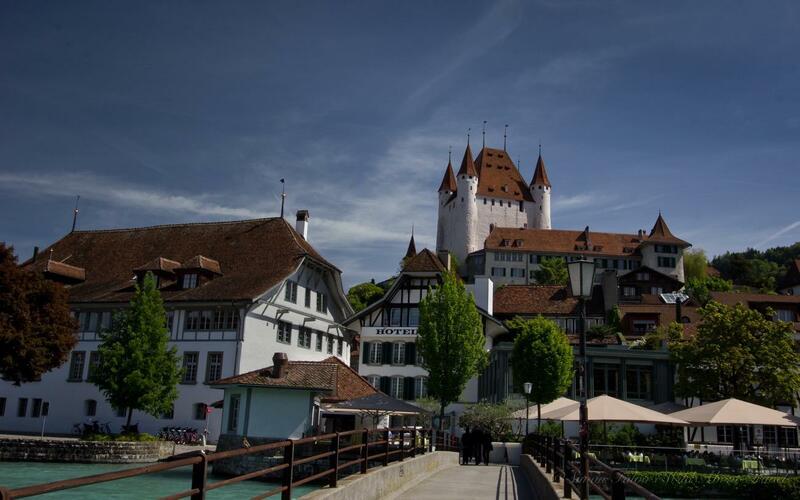 Switzerland traditional cuisine is not exactly between the ones known as the most interesting), the Castle is often chosen to celebrate weddings for its scenic location and the breathtaking panorama. I have many reasons to come back, one of them taking a boat tour of the lake like I did in New Zealand on the STT Steamboat in Queenstown. True, it’s touristy, but it’s so nice to look at the landscape from a different perspective. What a charming spot, and I haven’t heard of it until today … thanks for the tip! 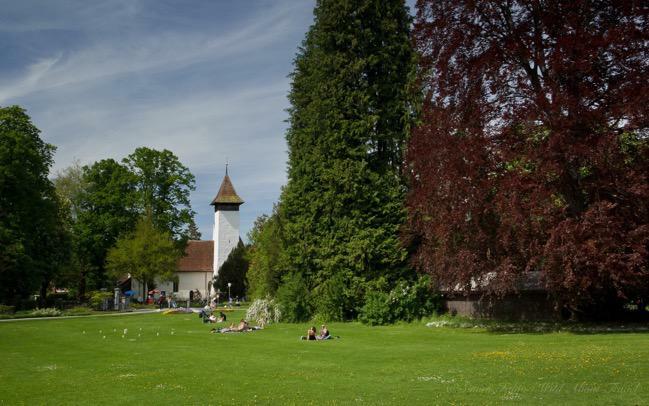 So I am not alone loving Thun 🙂 Glad you visited and wrote such a nice article about the town. I have lived nearby for about 15 years and I never get tired to visit when ever I find time. That looks amazing, I’ve only been to Basel and Zurich. I would absolutely love to go back to CH, but I’m trying to benefit from the low Euro. 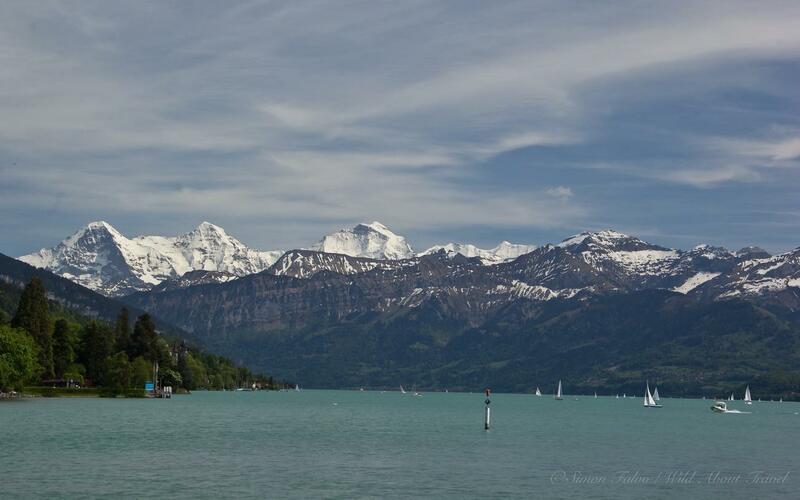 Ahh Switzerland, if only I could afford you! 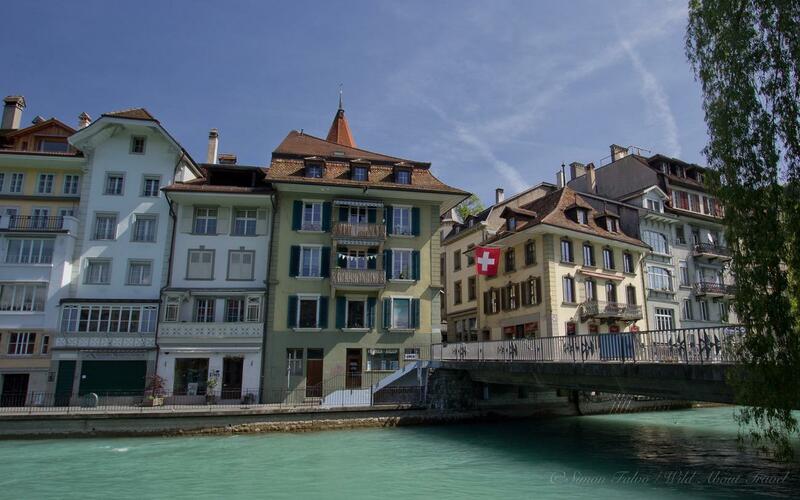 Simon, I’ve never been to Thun, but boy do I love traveling in Switzerland. Gotta go!